The Heartbeat of a Pharmacy in Richmond Va. It is believed that Lafayette Pharmacy was a part of the first chain of drugstores in Richmond called Lafayette Pharmacies. All billed as 5 modern pharmacies with 12 excellent pharmacists. Mel Fitzgerald (native of Danville and graduate of University of Georgia pharmacy school) bought Lafayette Pharmacy on March 1, 1986. Lafayette, to this day, is still owned by Mel. Everyday you will actually see him filling your prescriptions. HE IS YOUR LOCAL NEIGHBORHOOD PHARMACIST! During the years, Mel came up with the idea of Right Dose (RT • Dose). In October of 1989 the name RT • Dose became a copyright. RT • Dose was part of the events that would revolutionize how the elderly took their medication. 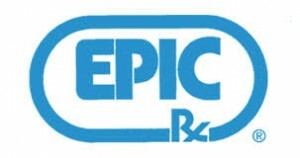 20 years ago Lafayette became a partner in the EPIC Pharmacies (a network of independently owned pharmacies dedicated to being your neighborhood pharmacy).